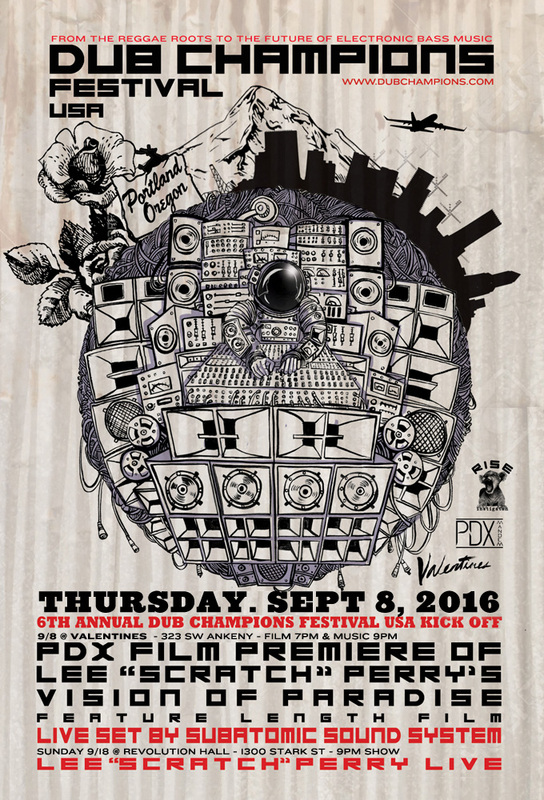 Dub Champions Festival USA 2016 returns from Sept 8 – Oct 29 from the west coast to east coast. 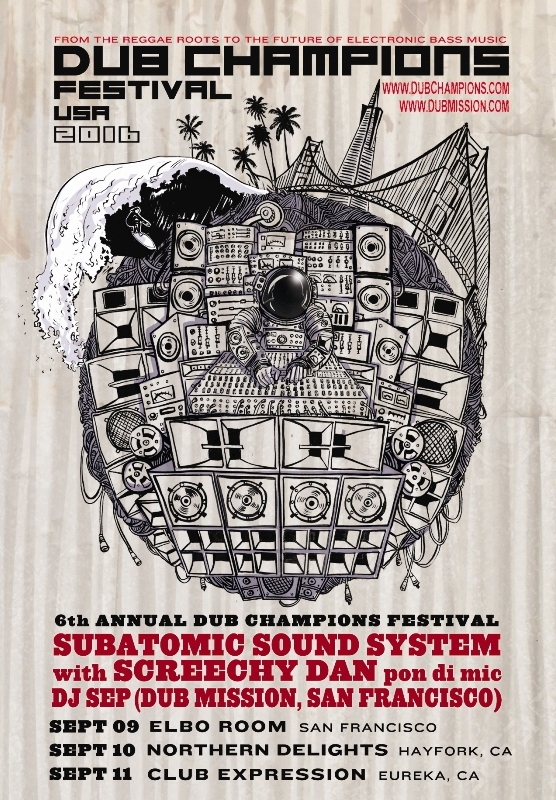 The festival opens this year with a kickoff in Portland, Oregon Dub Champions Festival 2016 USA kicks off with a premiere of Lee Scratch Perrys Vision Of Paradise film in Portland, Oregon followed by live dub sets from Subatomic Sound System, Instigatah/Most Hi Sound, Samizdat & PDX Mandem in cooperation with Signal PDX Details on Facebook event page. 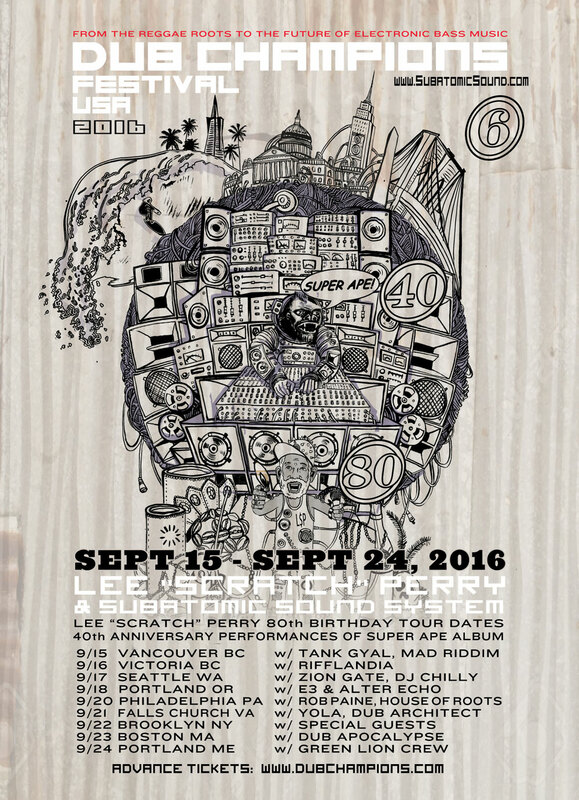 The festival follows up celebrating the 20th anniversary of San Francisco’s Dub Mission party with 3 shows featuring founder DJ Sep along with Subatomic Sound System & Screechy Dan Sept 9-11 including a screening of Visions of Paradise on Sept 10. 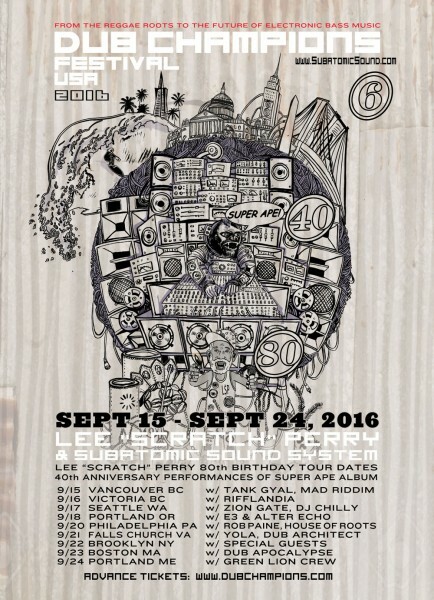 After that the Lee “Scratch” Perry 80th birthday tour with Subatomic Sound System starts in Canada Sept 15 with numerous Super Ape 40th anniversary album performances along the way featuring some of our favorite artists supporting on those bills from Sept 15-24. More dates continue on the east coast with more to announce but highlights will include Manneseh in DC with Grand Ancestor Sound and in Brooklyn with Masada Rock sound. The festival will wrap up with a Halloween throwdown from our longtime friends Tsunami Bass featuring Ghost Producer aka Raz Mesanai and many more. Check the Subatomic Sound events calendar on the right side of this page for more details on venues, performers, and times.